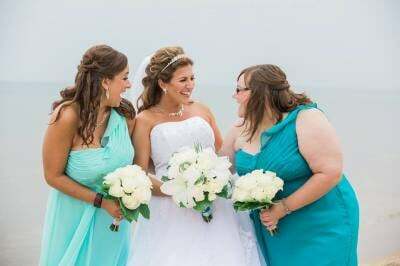 One company providing you with officiant, ceremony, photography and beautiful decorations for your beach wedding. 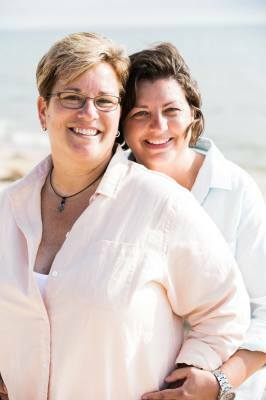 We are a beach wedding company and planner based in Pensacola and offer all inclusive wedding packages that include the photographer, Minister, Officiant, Ceremony and Beautiful Decorations. We service Pensacola, Navarre and Perdido Key FL. 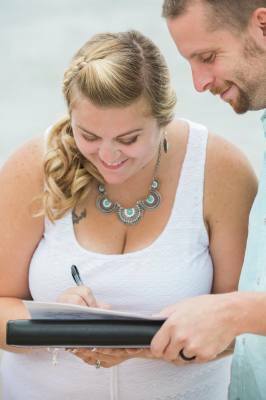 Our company has been planning special wedding events in Florida since 2006- pick from one of the newly designed 2018 Pensacola wedding packages or customize your own! ​​Your wedding day will be special no matter the guest count. 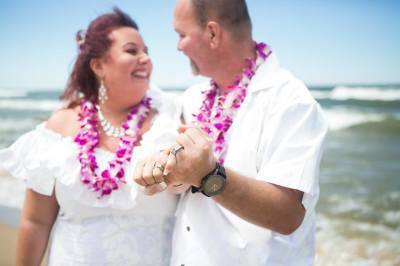 ​​​​​​Beach Weddings, Elopements, and Vow renewals. ​​​​servicing along the coast of Pensacola, navarre and Perdido Key, Florida. Just imagine your perfect day. Family and guests arrive excited to see you marry the person of your dreams. The sands of your beach are sugar white and pristine. A gentle sea breeze cools everyone and fills the air with the invigorating aroma of the emerald sea. Everything has been done to perfection. 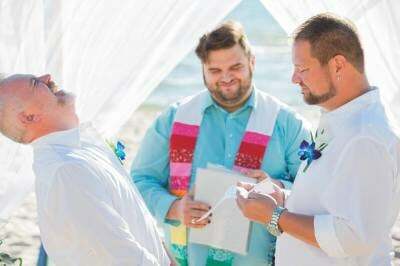 Your Florida beach wedding planner has thought of everything. The officiant awaits smiling amid beautiful arches, arbors, chairs, and a pretty aisle for you to walk down. As the flower girls take their positions, you realize you made the perfect decision. Your wedding will be a day you will never forget. Preserved forever by the professional photographer who is capturing smiles, laughs, unforgettable expressions of delight, and, of course, the way she looks so beautiful on this the most important day of your life. 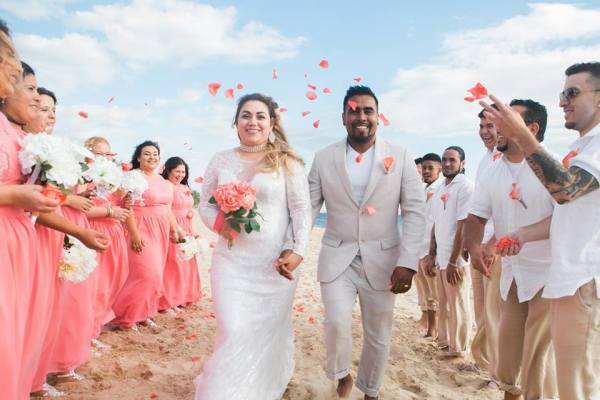 Island Girl Weddings is the caring and experienced wedding planning service countless couples and families have relied on for more than a decade. We do all the planning and work to make your wedding a full event with every last detail attended to. ​We work closely with you to understand your preferences and style. 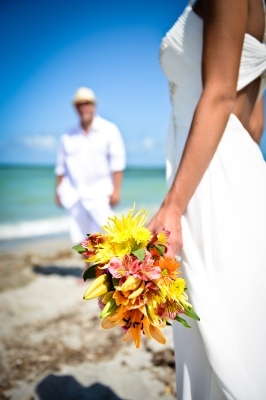 You can choose from our Affordable Beach Wedding Packages to get exactly what you want. 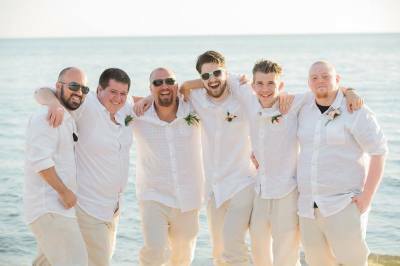 Then we go to work planning, organizing, and creating your beautiful beach wedding. You can relax knowing it will be a smooth transition from contact to planning and actual wedding day. you can rely on our deep experience and extensive connections in the beach community. 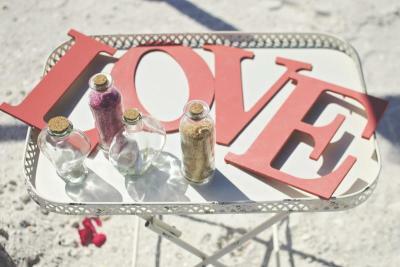 Over the years we have uncovered the timeless secrets to staging the loveliest of beach weddings. Let's discuss your wedding! Please contact us now for your no-cost, no-obligation discussion. We can talk about your vision, our beach wedding packages, and answer all your questions. 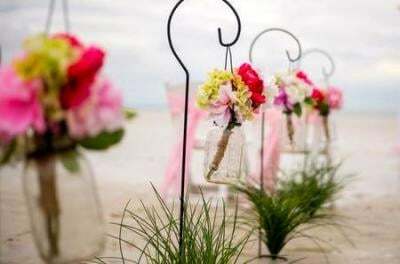 We specalize in affordable low budget, but beuatiful beach weddings. Let's create your perfect beach wedding. ​With our simple 3 step process, you'll be done with the work of planning very quickly. 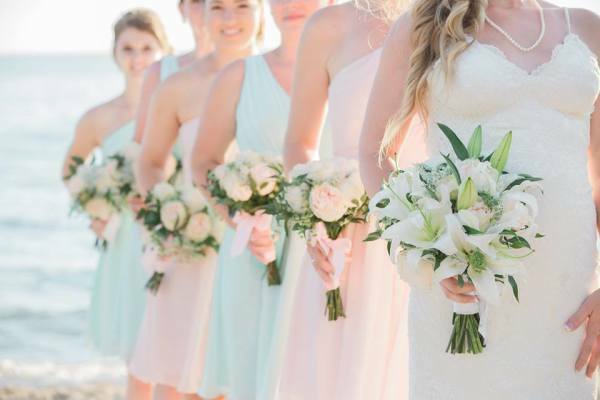 Florida's emerald coast has pristine white sand beaches, emerald color waves and warm ocean breezes that welcome you to your special beach wedding. 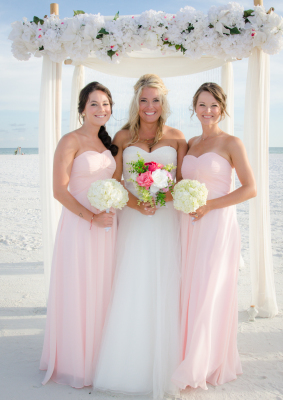 keep it simple and let island girl weddings plan your affordable florida beach wedding. the accommodations here are abundant with hotels, condominiums and beach houses. lots of fine and casual dinning, loads of shopping and tons of fun activities like miniature golf, boat rides, fishing charters, go carts to para sailing. 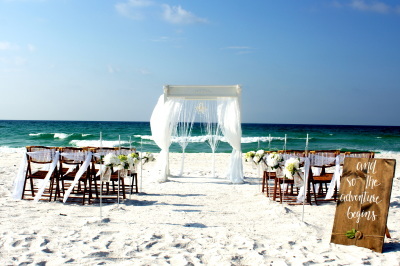 When choosing a beach wedding venue, you must consider world famous Pensacola Beach! ​​Click here for more information about this quaint beach town. Destin is quite the place for your beach wedding if your interested in a lot of action, restaurants, activities and large crowds of people. Some Destin locals call it a "Mob Rush". The beaches are not very private at all, in fact the hotels and Condo's seem to own most of them and they post their beaches as private property..
We offer a Simple beach wedding in Destin because so many couples want to get married there, we use a county park (beach) that has a lot of parking and not as crowded, but you can expect to see lots of people and other weddings going on at the same time as yours in the Destin areas. 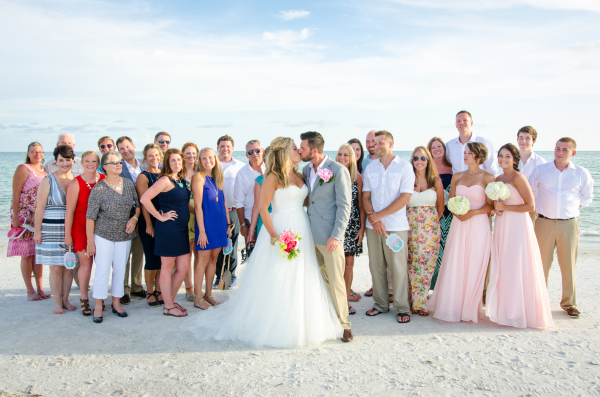 We only offer a Simple Beach Wedding in Destin because of the small public beach access there and the huge crowds with hard to find parking in Destin. If you want a more private beach wedding with way less people around, then take a somewhat short drive West to either Navarre Beach or Pensacola Beach, A "Night & Day" difference! Marc and Debra were very welcoming. The ceremony was exactly what we wanted. The spot they picked was beautiful and we will remember that day forever. Thank ya'll again for everything. I'm definitely going to recommend them to my friends. 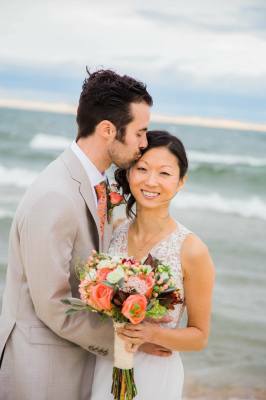 Marc and Debra were absolutely amazing with our simple beach wedding. Very professional and so nice thru the process. I would recommend them to anyone wanting a simple beach wedding. My day was perfect. Everything from the service and especially my pictures. we were very pleased and definitly recommend. Our 3 step system will solve your planning problems. Hire Us Today! 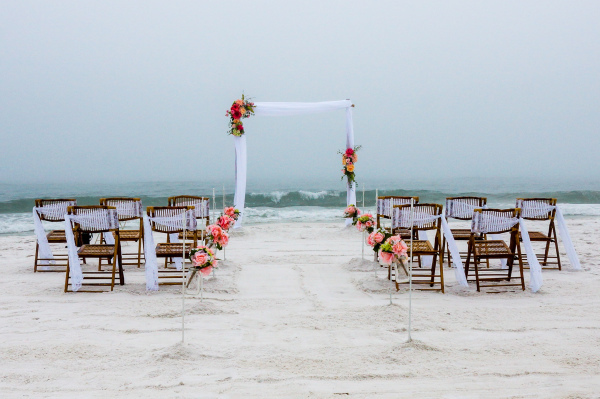 to make your beach wedding dreams come true. 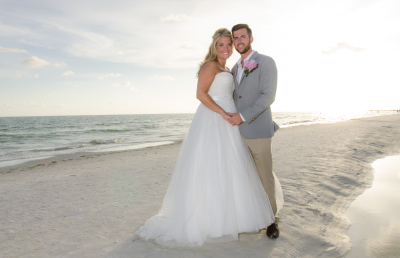 Beach wedding packages are available in Destin, Navarre Beach, Pensacola Beach and Perdido Key, Florida. And include the Minister, Officiant, Ceremony, Photographer and Beautiful Decorations! Specific decor options and Pricing are listed above. It may be just the two of you, or your entire extended family. add in a prayer or keep it short and sweet! When you and your guests arrive at the beach, everything will be in place and looking so beautiful against the crystal white beach sand and the emerald color waves lapping against the shore. What a perfect place to begin your new journey in life! then give us a call to save YOUR day on the beach! You've Found the Best Soloution for planning a beach Wedding.